Arrive Delhi. On arrival you are met and transferred to hotel. Balance of the day is free for your own activities. (o/n at hotel). After breakfast Sight seeing of old Delhi visiting red fort. Jama Masjid, Raj Ghat and Gandhi museum. Afternoon Sight seeing of New Delhi includes the visit of Qutub Minar. Humayun’s tomb, India Gate and govt. Buildings. (o/n at hotel). After breakfast drive to Samode. On arrival check in hotel. Later visit Samode Villages. (Overnight At Hotel). After breakfast drive to Mandawa. On arrival check in hotel. Later visit the Painted Havelies of The Dundlod Town and surrounding areas of Mandawa and Nawalgarh. The Painted Havelies of the region are called “The Open Air Art Gallaries”. (Overnight At Hotel). After breakfast drive to Bikaner. On arrival check in hotel. Later visit Junagarh Fort, Lalgarh Palace, Karni Mata Temple, Museum and The Camel Breeding Farm. (Overnight At Hotel). After breakfast drive to Jaisalmer. On arrival check in hotel. Afternoon free for own activities. (Overnight At Hotel). After breakfast visit fort of Jaisalmer, Gadisar Lake. Jain Temple, Patwon Ki Haveli. Also visit Sam sand Dunes here you enjoy the Camel Ride and witness the Sun Set against the sand dunes. (Overnight At Hotel). After breakfast drive to Rohet. On arrival check in hotel. Full day jeep safari at Rohet Villages. (Overnight At Hotel). After breakfast drive to Kumbhalgarh. On arrival check in hotel. Later visit Fort and villages of Kumbhalgarh. (Overnight At Hotel). After breakfast drive to Udaipur. On arrival check in hotel. 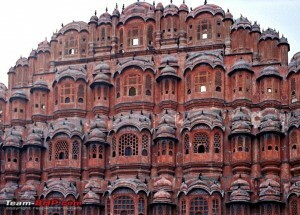 Later visit City Palace Museum, Sahelion Ki Bari, Bhartiya Lok Kala Mandal, Folk Art Museum, Jagdish Temple. (Overnight At Hotel). Early morning visit the Eklingji and Nagda Temple. Evening enjoy boat ride at Lake Pichola. (Overnight At Hotel). After breakfast drive to Bijapur. On arrival check in hotel. Pm visit Bijapur. (Overnight At Hotel). After breakfast drive to Pushkar. On arival check in hotel. Later explore the town of Pushkar and visit The Ghats and Temples. (Overnight At Hotel). After breakfast drive to Jaipur. On arrival check in hotel. 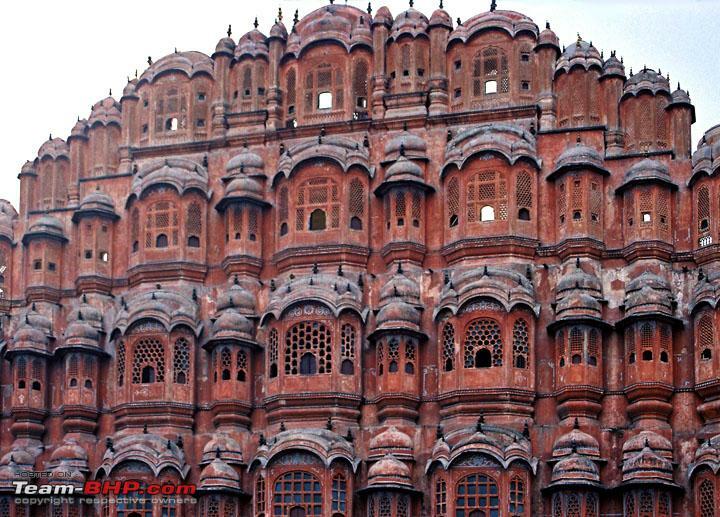 Later visit Amber Fort – The Old Capital of Rulers of Jaipur. Here one takes an elephant to ride to the palace situated on the hill. Evening free for own activities. (Overnight At Hotel). After breakfast full day visit city including City Palace, Jantar Mantar, Hawa Mahal, Birla Mandir and Jai Singh’s Observatory. (Overnight At Hotel). After breakfast drive to Agra en route visiting Fatehpur Sikri. On arrival check in hotel. Later visit the world famous monument – “The Tajmahal” and Fort. (Overnight At Hotel). If you have not decided yet or wants to customize tour itinerary or hotels listed above in "16 Nights Enchanting Rajasthan Tour Package with Bindass Holiday", then we can change the travel itinerary and make a personalized, tailor-made holiday package, especially for you. We can modify this travel package as per your itinerary, budget, duration and the tourist places you would like to visit, including transportation and airfare should be included or not. Please fill the form below to contact us.